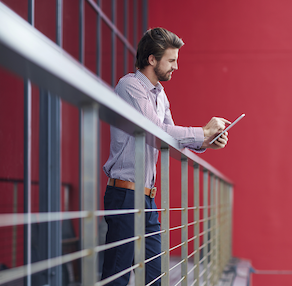 There’s not an industry that hasn’t gone mobile, including facilities management. Companies today can enter work orders via mobile devices, check issue statuses, validate when contractors check-in via GPS, conduct on-site facility audits and more. If you’re not running a mobile-based FM program, you should be. But these steps are just the start. Soon, virtually every aspect of a modern facilities management program will be mobile-enabled. Beacons connected to customers’ smartphones via bluetooth will enable not only offers to be pushed to them while in-store but enable data like traffic patterns to inform FM software so predictive maintenance requests can be made. Contractor and asset tracking can be enhanced with ‘mobile everywhere.’ Knowing what contractors to call for a given work order based on their site proximity, so arrival time can be monitored, will improve both sourcing and visibility. Bluetooth-enabled mobile devices will also connect with ‘smart’ equipment to monitor what’s specifically being worked on, resulting in much improved asset maintenance history data. All this technology will not only increase the range of functionality but will also impact the essence of how facilities management is practiced and what it means to be a facilities manager. Mobility will eliminate the silo from which facilities management can find itself. More will be done without direct FM involvement as staff across the corporation will gain easier access to what was previously solely under the purview of the FM department. Anyone will be able to report facilities issues relatively effortlessly and find that many of these service requests are handled without human (i.e., a facilities professional) intervention. Facilities managers will need to be comfortable with more of a hands off approach. This will increase efficiencies but will also require a different mindset. FMs will increasingly have more of a strategic focus than a reactive, tactical one. Progressive FMs will see their world expanded as more will be accomplished but with less hand-holding from them. Responsibility for everything from reporting issues to troubleshooting to validating that work’s done will be dispersed across the organization, specifically to many local staff, and outside the facilities group itself. Basically, with the rise of mobile FM software, everyone will have a powerful, data-driven facilities management system in his/her hands. Thus, the keepers of this technology will need to manage more technology and service more of the organization while doing less of what’s typically done today.